While most of us were sitting down recovering from our Turkey dinners, the QGIS team was releasing QGIS 1.6. See that link for the “What’s New” list. Tasty! 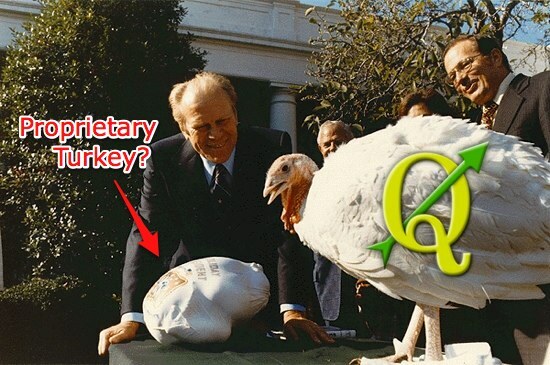 I found this photo in the GIS Archives of the Library of Congress of President Ford and the GIS Turkey.